Recently I paid Skybox a visit. 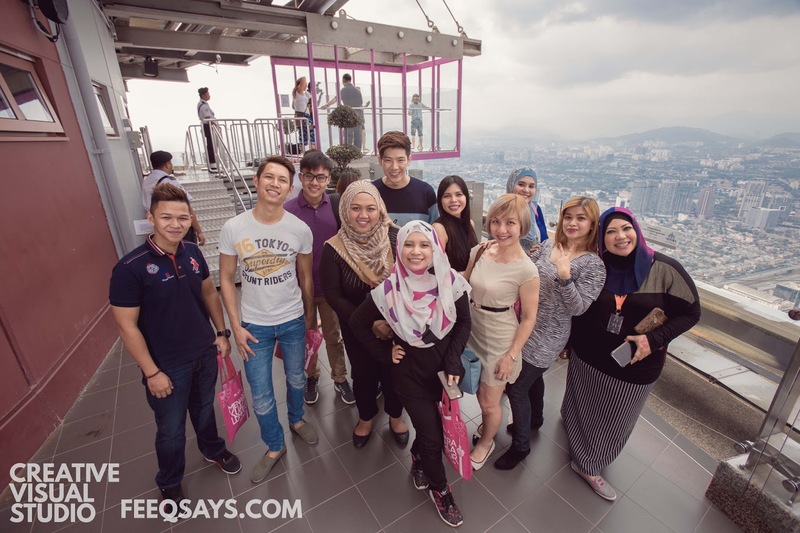 Located at KL Tower Skydeck, it was unforgettable and magnificent experience. Thank you Kak Ella & KL Tower for having me. For those who don’t know, The Sky Box is actually made up entirely from transparent glass. The reason is of course to offer visitors a spectacular 360 degree view of Kuala Lumpur city with a height of 300 metres above ground level. So please make sure there’s no jumping or extreme pose yeah. Bila berada di atas, jangan lupa pandang ke bawah. Bila rasa diri itu hebat, ingat Allah maha berkuasa. Tak kira di mana kita berada, atas atau bawah, syukur dan jangan mudah selesa dengan keadaan kita. Sebab yang di atas boleh jatuh, yang di bawah boleh naik. Inclusive of entries to the Sky Deck and Observation Deck. No additional charges for taking photo. P/S: With purchase of KL Tower Ramadhan Buffet, TOP UP RM20 only for entrance ticket to Sky Box. It can carry 3 – 6 persons or up to 600 kg at a time but only limit up to 3 person at a time. So, are you dare enough to conquer your fear at the KL Tower’s latest attraction, Sky Box? !